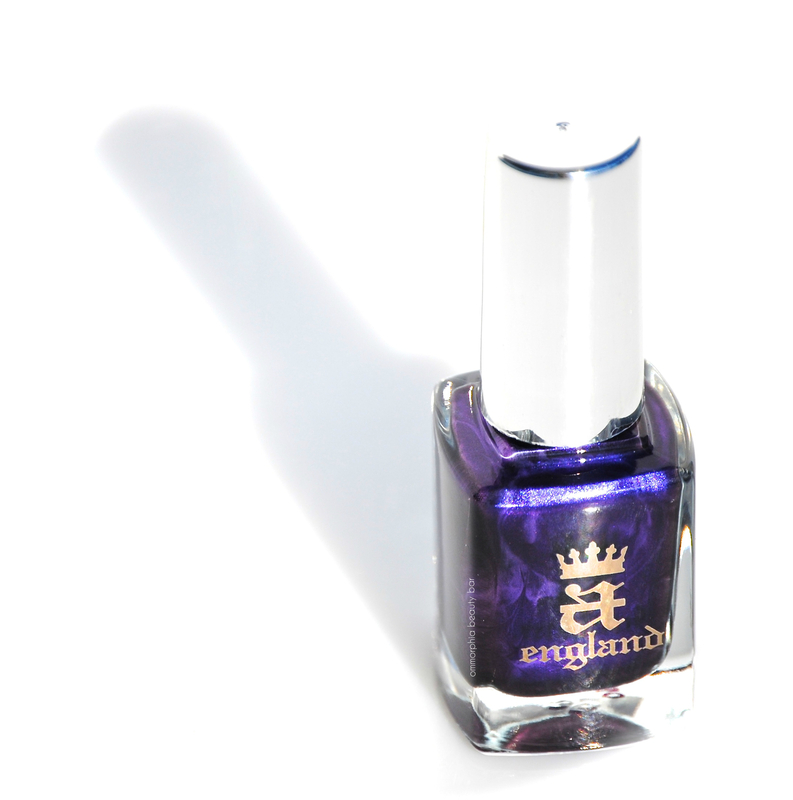 There are lacquers, and then there are lacquers; what makes a-england polishes stand out, is an ephemeral quality that is hard to pin down, but is strongly felt nevertheless. With her love of art, beauty, and literature – in particular the Pre-Raphaelite period, Adina Bodana (the creative genius behind this brand) continues to draw inspiration from one of her favourite artists of that period, Dante Gabriel Rossetti. The latest addition to her Heavenly Quotes Collection, is The Blessed Damozel – a lush purple hue with what appears to be plume-like swirls of colour running throughout the base, all of which only add to its hypnotic appeal. 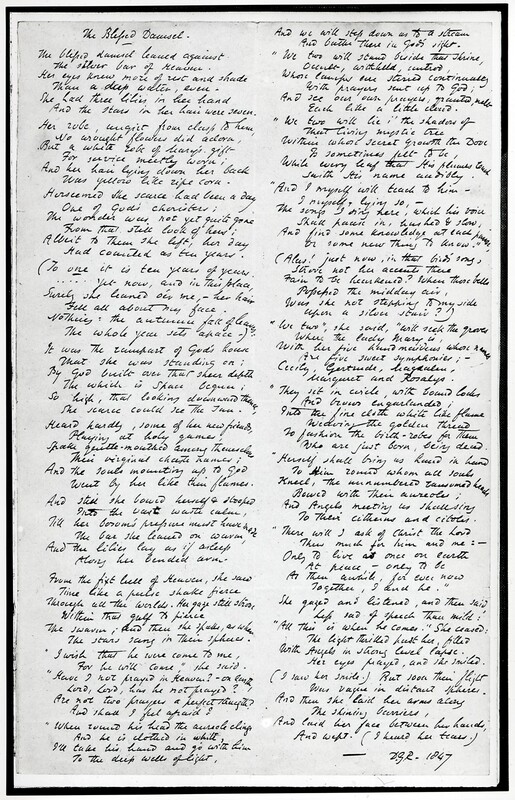 Originally published in 1850 (and subsequently revised twice after that), Rossetti’s poem, The Blessed Damozel, was partially inspired by Edgar Allen Poe’s ‘The Raven’, a story of love, grief, unrequited yearning, and celestial bodies. 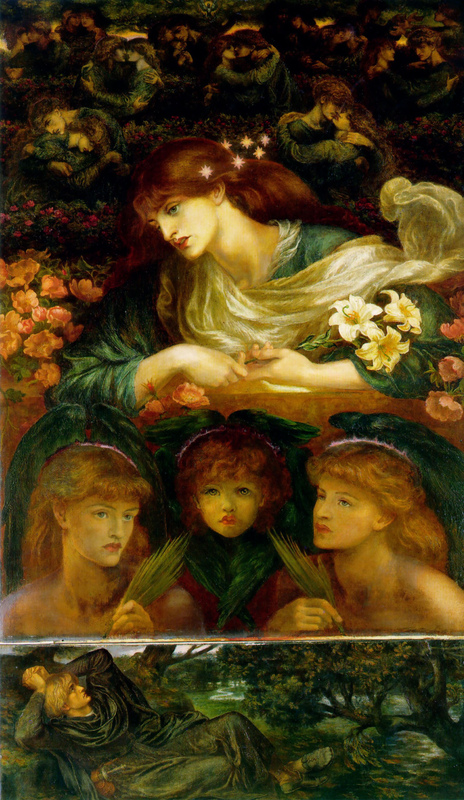 Interestingly, Rossetti’s poem preceded his painting of the same name, with a maiden (the ‘Damozel’) in heaven gazing down in eternal mourning at her earth-bound lover. 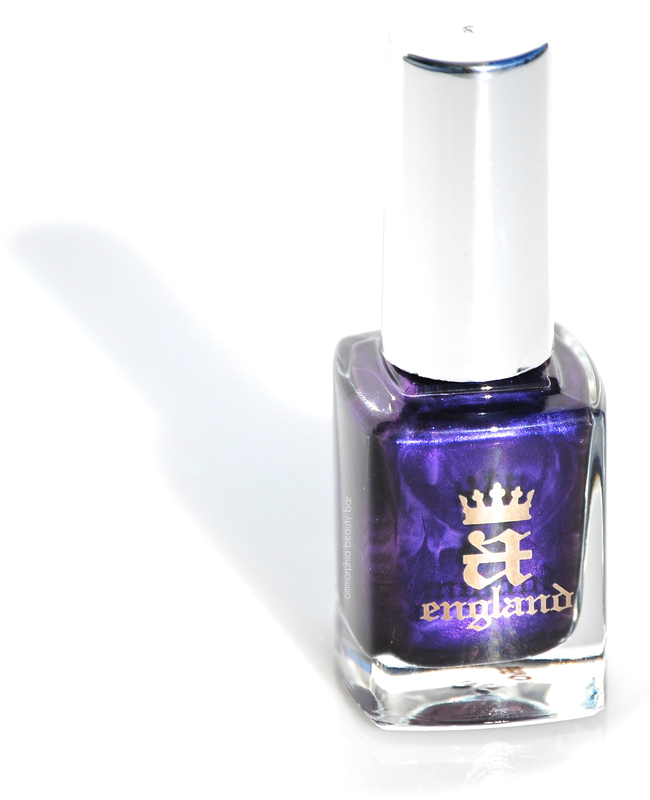 Purple, a hue long associated with both royalty and that of death, also happens to have been a favourite with artists of the Pre-Raphaelite movement such as Rossetti; the undulating pattern seen in the bottle of a-england’s The Blessed Damozel combined with the intensity of colour, perfectly captures the essence of a deep abiding passion clouded by loss. 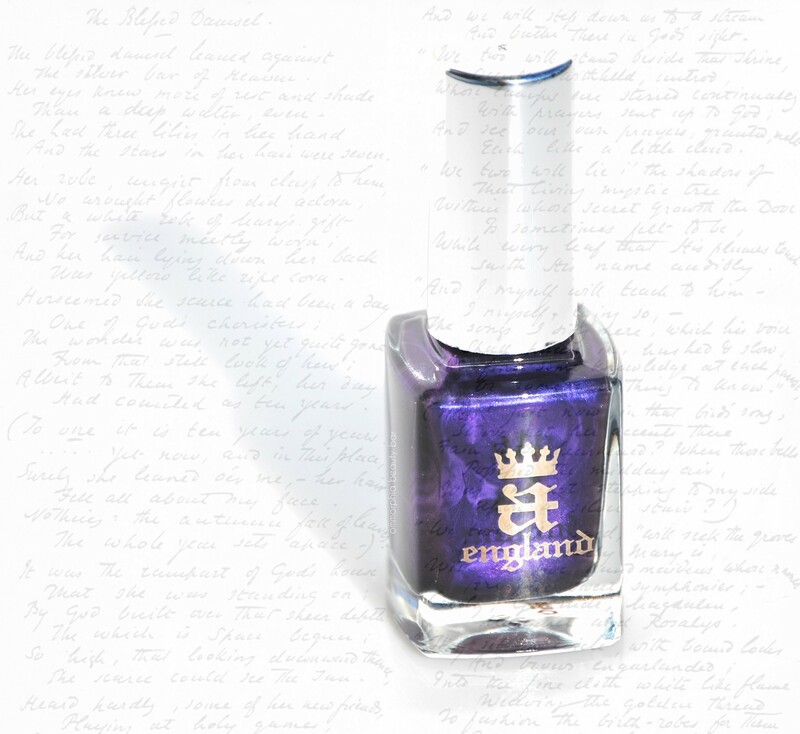 In other words, Adina has done it again and has managed to bring a piece of literature to life in nail lacquer form. 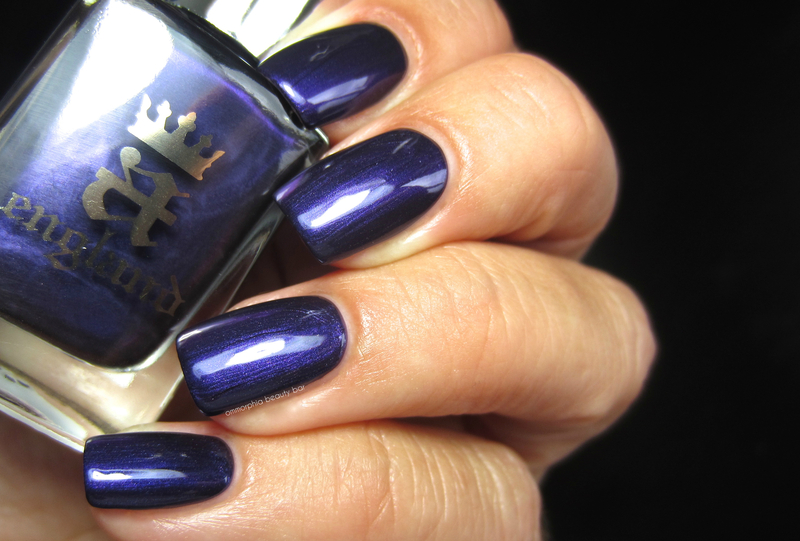 The Blessed Damozel | A deeply regal violet with ultra fine inner shimmer in a formula that leans slightly towards the thick side, but which levels out easily and beautifully, with no pooling towards the cuticles. The high saturation of colour means you can basically get away with one coat for full coverage, although I personally prefer the look of two. 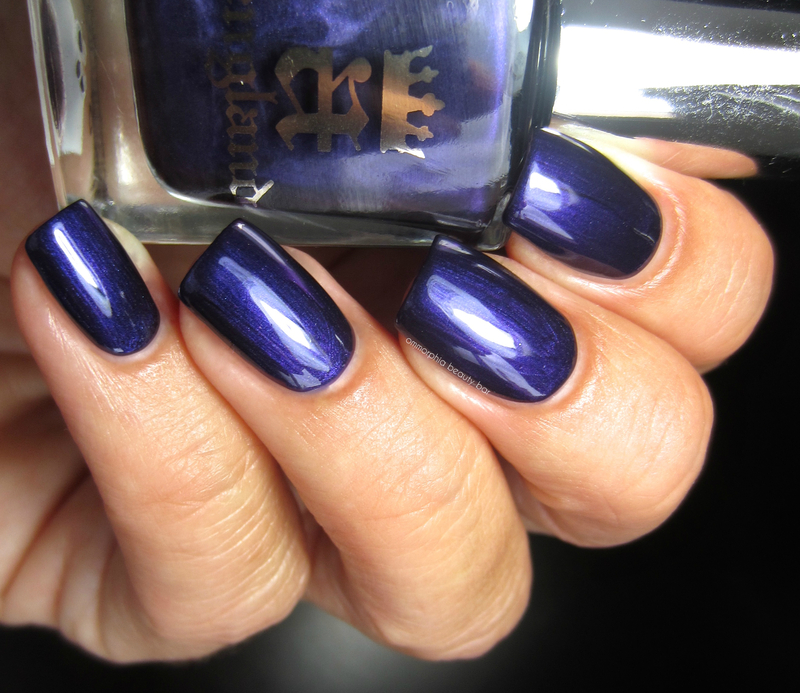 As the finish is shiny but not glossy, adding a top coat really enhances all the inner fire of this shade and truly makes it stand out. Bonus: non-staining upon removal. It’s no secret that I have a soft spot for this brand, and my love for a-england (and its founder) have been well documented over the years in many posts (click on the a-england tab in the sidebar to see swatches of the entire range), but something about The Blessed Damozel has resonated with me on an almost visceral level; it satisfies my need for broodingly moody shades but stays clear of looking too blackened, provides a multi-dimensional depth of tone thanks to the inner shimmer, and just looks so incredibly velvety and luxurious on the nails. Doesn’t get better than that, I tell you. The Blessed Damozel is part of a-england’s permanent collection. Find more information on the entire range via a-england.co.uk – Find your nearest retailer here.